Winter canicrossing: why do we need a head torch anyway? Answer to all of these is a big fat NO! Canicross is theoretically a winter sport, something best achieved and should be worked on harder in the colder temperatures… Why? It is far kinder to and better for your dog. You will get more out your dog training in cooler temps. But why the dark nights? Why not switch to day time? Well most of us are too busy earning to pay for our trainer, race entry and Cani-Fit hoodie addiction to only train and run the trails in day light, so night time after work is a popular time. Yes, Cani-Fit classes run all through winter, it is our best time, and yes we run in all weather, rain, sleet, snow, wind. We are based in Scotland after all. If you are going to be canicrossing in the dark, you will need one essential piece of kit: a head torch. But there are so many head torches to choose from. How do you know which one to choose? 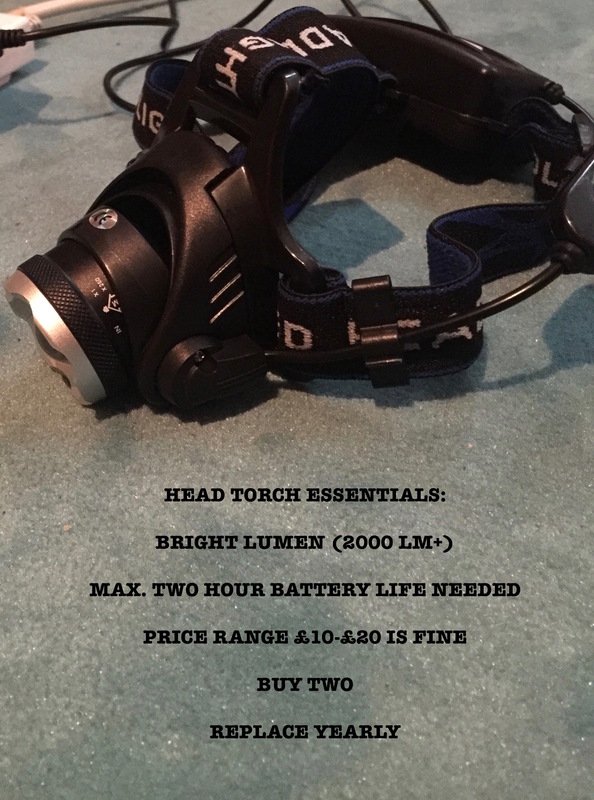 Looking at the lists of head torches available online is enough to send anyone screaming back to the comfort of the couch. So what should you look for when choosing a head torch? The cheap ones you see in the pound shop or the local petrol station, will not cut it. You are looking for something with a bright lumen. The brighter the better. You really only need maximum 2 hours battery life for a Cani-Fit class, so go with brighter rather than longer battery. You can spend anything from £10 – £400 on a good head torch. From experience, most Cani-Fitters have bought 2000LM Cree torches from eBay worth £10-£20. Some lasted a full winter, some found that their chargers and/or batteries broke. With cheaper options this is a risk, however the brightness is perfect for what we do. Hand torches (including phone torches) will not adequately light the path in front of you for you or the dog. A head torch will. Hand torches are also inconvenient to hold whilst running. Avoid using a hand torch unless as a back up. Fully charge your head torch before class. You can now get car chargers for them too. Invest in a spare as back up and pop it in your pocket. Keep your head torch off until you need it. Save your battery. Keep the light off round about car park, where car lights will provide adequate lighting. Never turn around to talk to anyone with head torch still on, you will blind them and their dog’s vision. If you are going to talk to someone head on, turn your torch off or face it away from them. As your head torch is a key piece of equipment for ensuring your safety on the trails, you should replace it (and your spare one) yearly. Wear a buff underneath your head torch to keep it comfortably in place. Firstly, it really is easier to see than you think. The lack of forewarning of what is to come on the trail can be helpful. You may miss the deathly hill climb that is 800m in front of you – before you know it you are up it without being mentally defeated. The thought of not seeing the runner in front make a turn on the trail will certainly keep you moving ahead. With the right brightness of head torch, you light a massive path way for you and your dog to follow, making it really easy to see the best route to follow. Your dog will become more focussed and follow the trail the light makes, but also their sense will kick in to follow a familiar track or the route the lead dogs in front took. This is where your dogs magic senses really start to impress you, and you see the real team work and bond both of you have created. And you get to look like an extra from a Daft Punk video or Star Wars, and who doesn’t want that! Yes, winter running can be a thought. When you get home from work, it is dark, raining, wind blowing side ways and the last thing you want to do is go outside, but you know the dog needs out, you know you should be out running and exercising together. Why rush a boring walk round the streets when you can train and run with the Cani-Fit groups in safety. There truly is no better motivation than doing it with a friendly experienced group. 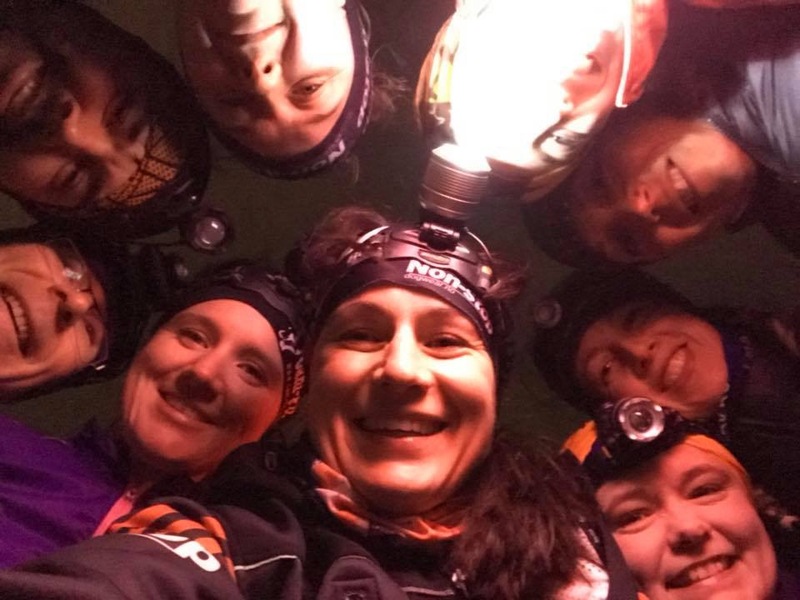 There are few sights more magical than a group of 20 head torches and high viz runners and dogs running through the trails on a dark winter night. It truly is an extraordinary experience and one that you and your dog don’t want to miss! Want more information on getting started in canicross? Check out our guide here: https://cani-fit.com/beginners-guide-to-canicross-2/. Cani-Fit is Scotland’s leading dog and human fitness provider with classes and events across Scotland – for more information, visit www.cani-fit.com.